It’s been a long time since PAT PILCHER played with his pen. Is this the moment he learns how to put pen to paper again, and likes it? A few weeks back I got to thinking that I couldn’t remember the last time I’d put pen to paper and written something. Be it the abysmal predictive text error-prone touchscreen keyboard on my phone, or QWERTY bashing on my PC, I’d long shifted to typing. Because of this, I decided that I needed to pick up a pen and get writing again. It was a revelation. The few writing implements in my house were dead. I suspect they’d curled up their toes and died due to a lack of loving finger-hugs. 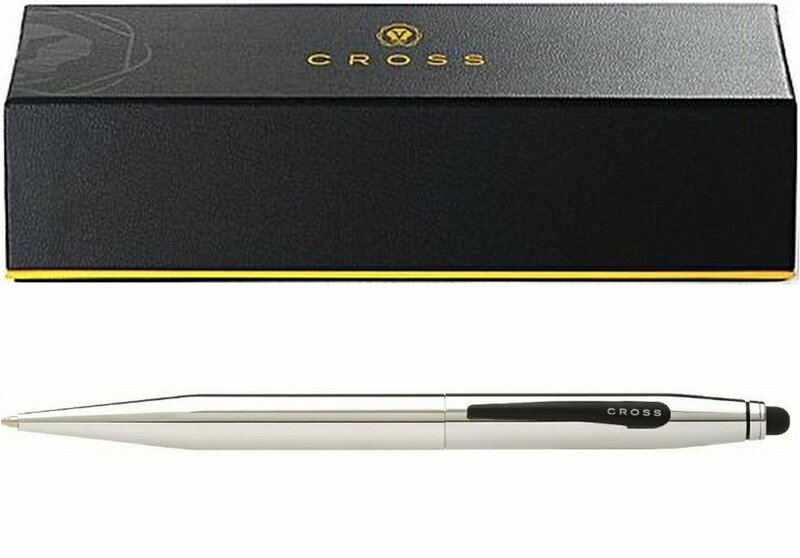 Remedying this saw me getting my hands on the Cross Tech 3 pen. It’s as beautiful as it is versatile. It not only sports the usual requisite black/blue pens, but there’s also a red pen, and a .5mm pencil and stylus tip (for use on touch screens). It also has an eraser. The big appeal with the Tech 3 is that it’s simple. Turning its barrel raises/lowers its three different writing tips. If simple is clever, then the Cross Tech 3 borders on genius. Every different flavour of pen I’m ever likely to need is in the same writing tool. What’s not to like? 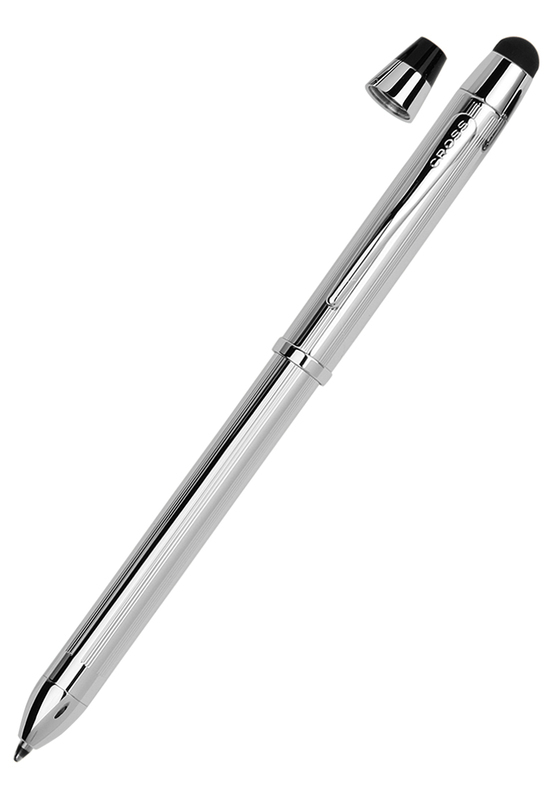 Unlike a cheap Tupperware Bic, the Cross Tech 3 comes in a chrome or slinky back finish. The quality and durability feels good. If it were a car, it’d be a jag. There’s not a hint of plastic. Everything is metal. I suspect that it’ll offer years of continuous use. It feels built like a brick you-know-what-house. The Tech 3’s ink cartridges looked small. Checking pen forums (yes, they do exist!) revealed they last for some time. Even better still, they’re also inexpensive (shopping online I can get two cartridges for as little as US$1.99). All told, the Tech 3 is cheap to use. Its chrome finish is durable. Although I’d dropped it onto concrete and it’d spent time in my laptop bag, it still looks pristine. It can take a kicking that’d leave its cheaper Bic plastic counterparts DOA. In use, the Tech 3 feels great. It’s well balanced and has two different inks that flow onto paper with no stutters or glitches. As nice as the Tech 3 is, my out of condition handwriting skills resulted in a look that I can only describe as if a spider had snorted coke and crawled out of an inkpot. So, what’s the bottom line? The Tech 3 is a beautiful writing tool. Not only is it versatile but it feels built to last a very long time indeed, and feels great to write with. If there is a gotcha, it’s price. 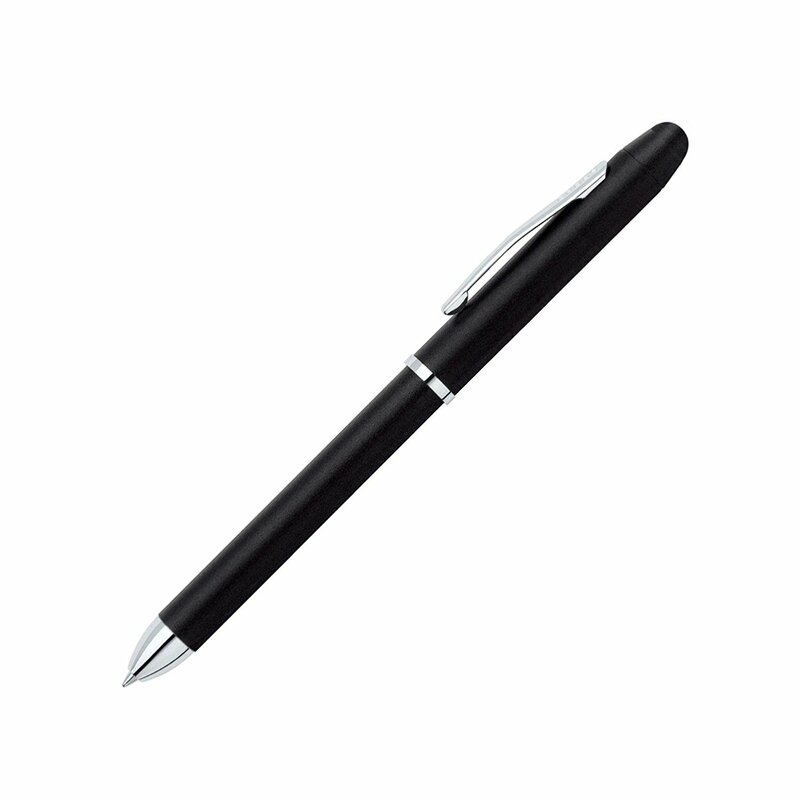 The Tech 3 in either chrome or black is $99.95, which is a lot for a pen that many are likely to lose. That said, you do get one hell of a lot of pen for the buck.